viaLibri ~ Can we be sure of mortality? 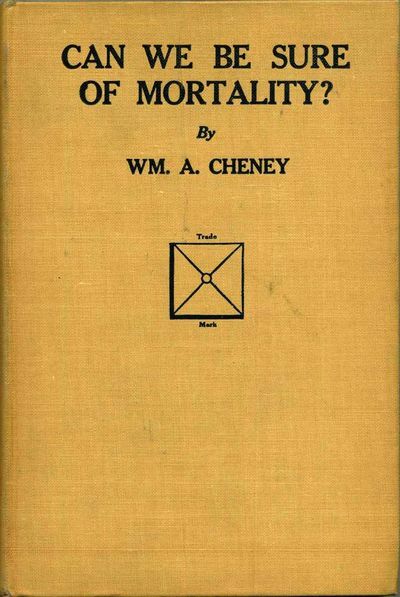 Can we be sure of mortality? New York : Roger brothers. Hardcover. B003OKS11S HB, 1910. Ships next day. Book is in good shape, no tears, scribbles, highlighting or underlining, has a 1940 article about King Tut glued inside the front hc, has a name sticker inside, a little general wear, from a smoke-free environment. Items are typically shipped in a plastic bag, in a cardboard cradle, in a manila envelope. Most of my customers rave about my packaging. All US items are shipped with delivery confirmation, if you require this, please let me know. . Good.